More than 350 million people living in the world's biggest cities face being hit with deadly heatwaves every year even if climate change targets are reached. Researchers in Maynooth University say that even if global temperature rise is limited to no more 2C, as required under the Paris Climate deal, 40pc of the world's 44 megacities will be hit with annual heat waves. Megacities are defined as urban areas with populations of 20 million or more. In 2015, thousands of people were killed in Karachi in Pakistan and Kolkata (Calcutta) in India after a deadly heatwave. In a world which is 2C warmer, these cities could experience similar heat episodes every year, according to a study published in 'Proceedings of the National Academy of Sciences of the USA (PNAS)'. Undertaken by scientists from Liverpool John Moores University, Loughborough University in the UK and Maynooth University, it examined data from recent projections of climate change and population growth and found that more than 350 million people could be exposed to heat stress every year. South Asian cities will likely remain the most stressed over the coming century, but others including Lagos in Nigeria and Shanghai in China may become newly heat stressed. For global warming of 2.7C, which tallies with current commitments to greenhouse gas reduction, the world's largest city - Tokyo in Japan - is likely to be affected. With a 4C hike, New York will be hit. 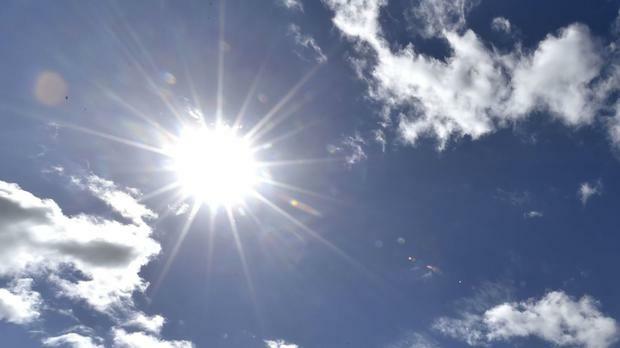 Senior lecturer in geography in Maynooth University Dr Conor Murphy said that around 20pc of the world's mega- cities already experienced heat stress but this was expected to increase. "One thing we're confident about in future climate change is temperature," he said. "Heat stress is a combination of temperature and humidity, and these findings highlight how sensitive heat stress is to climate change. "We show that for even modest warming amounts, the global burden of heat stress will likely grow considerably. For each fraction of a degree the climate warms, the increase in heat stress is ever greater. That translates into progressively heavier impacts globally if the Paris targets are missed." The work was undertaken to explore the extent to which the ambitious climate change targets agreed in Paris might avoid impacts dangerous to society. The report comes as Ireland is criticised for failing to do enough to ramp-up efforts to tackle global warming, being ranked 18th out of 27 EU countries for its efforts. Carbon Market Watch ranks Sweden, Germany and France as the top performing countries, and said Ireland has not set an adequate long-term target to reduce emissions and help implement the Paris Climate deal.